Whether your current mouse is giving you chronic wrist pain, or you just want to try something different, this 4.3-star-rated wireless ergonomic vertical mouse from Anker is only $15 today (with promo code ANKERWVM), or $5 less than usual. In addition to the clever design, it even comes with three adjustable DPI settings and forward/back buttons, which are pretty rare at this price level. Finally, someone made the Glow Bowl for everywhere else in your home. This motion-sensing light strip is billed as an under-bed night light, but you could just as easily attach it under your bathroom counter, along a railing, beneath your baby’s crib, or anywhere else you might need to venture in the middle of the night. For a limited time, you can get one for just $15 with code SHTEP3JV, matching an all-time low. String lights make every outdoor space better, and while we see deals on globe-style strands with some regularity, but almost all of them still use power-hungry incandescent bulbs. But if you’d prefer to go all-out with LEDs, this 49-foot, 15-bulb strand from Cymas is on sale for $60 today with promo code 4MIPIVLN. 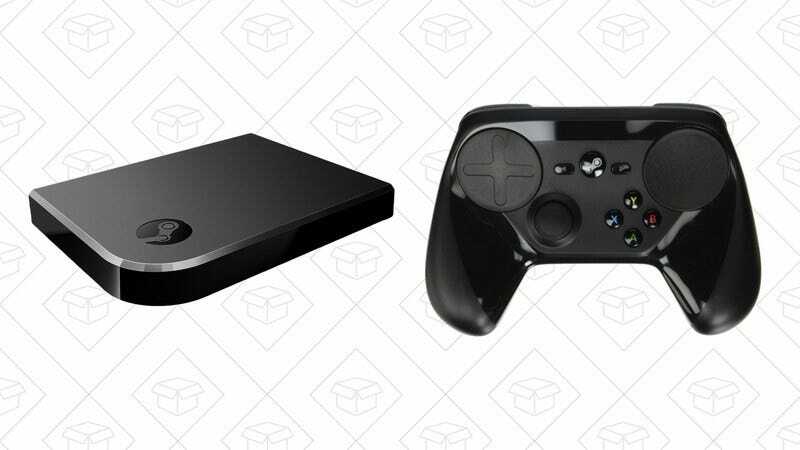 If you want to pick up some Steam hardware before the summer sale kicks off, both the Steam Link and Steam Controller are on sale today. The Link will only set you back $15, a new all-time low, while the Controller is $15 less than usual, at $35. Amazon’s had a ton of good board-game deals lately, but if you’ve still got room on your shelf, 7 Wonders is well worth picking up for $24, within about a dollar of an all-time low.